We have all had our own encounters with digital receptionists, and not all of them are favorable. Some are straight and simple, while others have more options and sub-options than the letters of the alphabet. Our bad experiences, which make more of an impression on us as compared to our good ones, actually deter us from getting a digital receptionist for our own business. What you do have to understand though is that these bad experiences can be avoided so that the use of a digital receptionist would be more positive than anything else. Savings – if you do not have a digital receptionist, you will need to hire a human one, and that would still have to come with a phone system that would allow the person to transfer calls to different departments. If your office runs more than 8 hours a day, you will need more than one digital receptionist, especially if you have an office that offers services for all seven days of the week. The cost increases when you run a twenty-four hour operation. With a digital receptionist, you are able to run the business with just the maintenance cost of the phone system, and get the twenty-four hour coverage that you need. Flexibility – a lot of people believe that as soon as you have a piece of technology, your stuck with the process surrounding that item until it is replaced. This is not true, since one of the main selling points of a digital receptionist is the fact that it can be programmed and reprogrammed for an unlimited number of times. This goes for the greeting that it gives in the morning and after office hours (the message can be switched automatically for some systems, so this will allow you to rest easy knowing that the you will not forget to set the voice mail to answer the phone after office hours), as well as the options that you would want to give your callers as they maneuver through the different departments to get the service that they need. When programming your digital receptionist though, make sure not to make your options too complex, and not to reprogram your options too often as well, as both could cause confusion and just drive your callers away. Professional Perception – the opinion of some is that once you have a digital receptionist, you are a huge company that is professional and can afford to automate a lot of processes. Although this may not be the truth, it would be a perception that could win customers over even when they have not yet signed up for the services that you provide. Just make sure that you are able to handle your digital receptionist well in terms of making sure that the information on the recordings are up to date, and that the promises you provide on your answering message (such as callback times) are followed by everyone, and the potential customers are contacted. Just like any piece of technology, a digital receptionist is a great help to any business, but can also be overused and abused to the point of making it an inconvenience for customers. To avoid this from happening, call in to your phone system every once in a while and then think of how a customer would feel when going through the options. You may even want to update the greeting every season or year. Also, learn from your bad experiences. This would help you avoid irritating customers, which in turn would mean having them call in happy and staying with you for as long as they can. 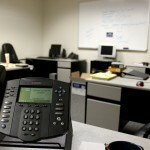 ← What does your phone system do for you after office hours?